Breed being not very high and not very dense is an ideal combination of good yield and perfect quality. 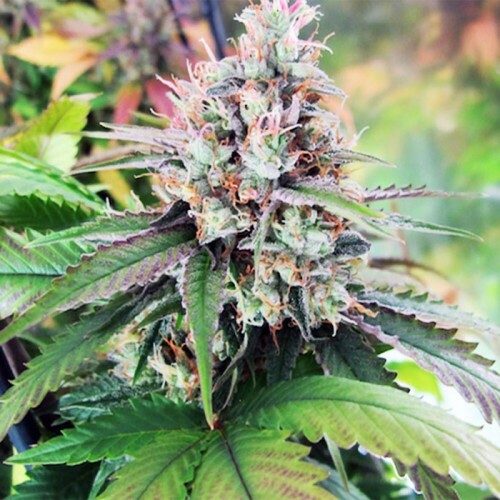 Smokers knowing and growing this breed of marijuana very much appreciate combination of its appearance and sweet aroma. It may produce up to 600 гg/m2, at the same time preserving its unique characteristics. It produces a single big central inflorescence with several side branches. During blossoming it produces soft and sweet smell which remains even after drying (in case of due care). Among all our strains it is the best variant for manufacturers who are afraid to lose quality caused by yield increase. the 3rd place High Times Cannabis Cup 1994.